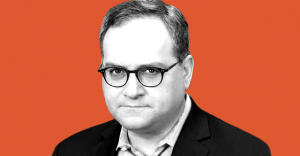 Ezra Levant is having a really, really bad week. 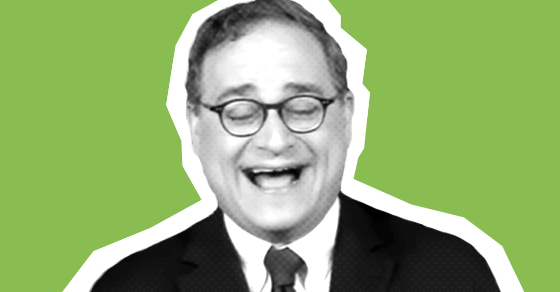 Rebel Media owner Ezra Levant has received an undisclosed amount of funding from an American think tank that promotes far-right, anti-Muslim views. Levant’s alt-right website continued spiraling out of control Thursday, following the departures of Rebel Media’s Gavin McInnes and Rebel Media director Hamish Marshall, who recently served as Conservative leader Andrew Scheer’s campaign manager. Scheer said Thursday he will not do interviews on Rebel Media until its “editorial direction” has improved. Rebel Media UK correspondent Caolan Robertson also quit in dramatic fashion, leaking audio of a private meeting where he alleges Levant offered him $20,000 in “hush money” to buy his silence on Rebel Media’s finances. In fact, Levant’s Ethical Oil astroturf group previously accused environmental groups of laundering foreign money, setting the stage for former Natural Resources Minister Joe Oliver to rail against foreign-funded “radical” environmentalists. Press Progress inquired about how many grants Levant has received through the special MEF fund. MEF did not immediately respond to multiple requests for comment. Archived copies of the MEF’s website suggest Levant’s name was added to an official list of grant recipients between September and November 2015, several months after Rebel Media first launched in February 2015. • In 2008, Pipes called for racial profiling of Muslims to address the “threat” of “Islamist lawfare,” claiming supporters of radical Islam are exploiting the legal system and wielding influence over international organizations like the United Nations. According to the Center for American Progress’ report, MEF has previously received millions in funding from foundations bankrolled by wealthy conservatives and GOP donors. 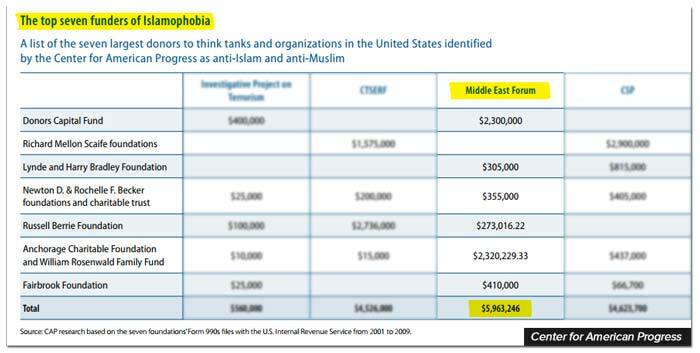 One of Middle East Forum’s largest donors is the Donors Capital Fund. CAP describes the fund as financed by a number of wealthy conservatives who are “difficult to trace” and must contribute a minimum of $1 million to join. In 2013, Donor Capital’s CEO told Mother Jones the group “doled out $400 million to more than 1,000 conservative and libertarian groups” since 1999. The UK-based newspaper The Independent also reported in 2013 that Donors Capital had been used by Charles and David Koch to “secretly fund” climate change denial groups. This week, Rebel Media has seen resignations from former co-founder Brian Lilley, contributors Barbara Kay, John Robson, Gavin McInnes and Coalan Robertson. Press Progress contacted dozens of Conservative MPs. Only two were wiling to denounce Ezra Levant's alt-right Rebel Media. Editor’s note: Since this post was published Tuesday evening, additional Conservative MPs have told Press Progress they will no longer appear on Rebel Media. This post will be updated to note any additional disavowals. One-quarter of all Conservative MPs have made guest appearances on Ezra Levant’s Rebel Media. But when pressed if they’d do it again, few are willing to speak up.